Who is this british officer? But I could have missed someone. I'm not guaranteeing anything, but I would say Captain Arthur is the one, the arm cuffs on the uniform speak more West front than Nigeria to me, with arm cuffs on the West front uniform. Implies no European service, To be confirmed. MIC says 4c entered 5/8/14. I have to say that could be him. So not the mystery man on horseback. The Queen's (Royal West Surrey Regiment). 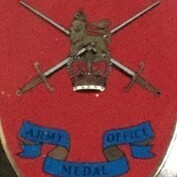 Awarded the Military Cross. 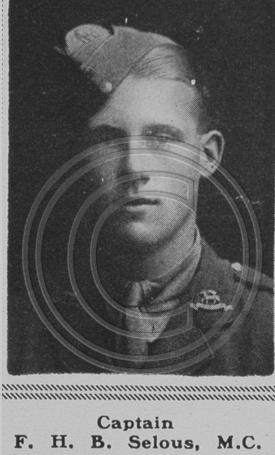 Captain A. E. Beattie, attached 4th Battalion, Nigeria Regiment. 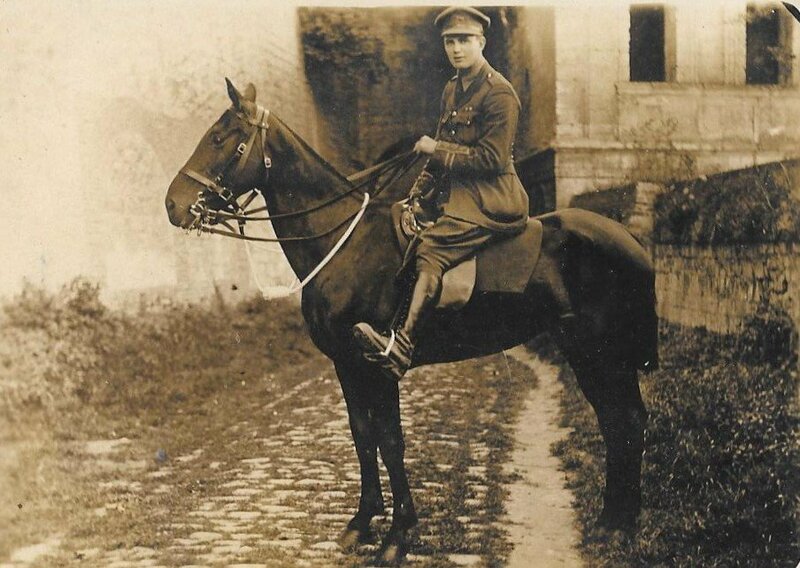 Second Lieutenant A. R. Abercrombie, attached 1st Battalion, East Surrey Regiment. 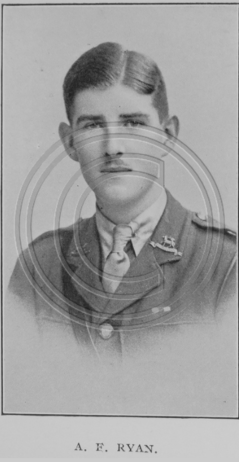 Second Lieutenant J. H. Musson. 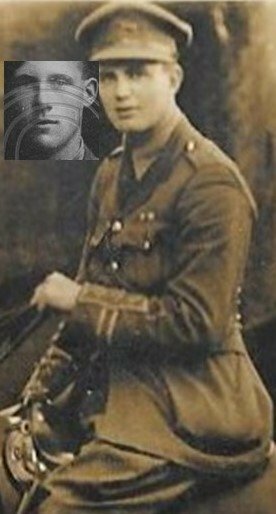 Second Lieutenant M. D. Wilson (Special Reserve), attached 1st Battalion, Lincolnshire Regiment. 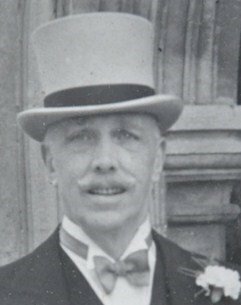 Captain Arthur Percival Hamilton, The Queen's (Royal West Surrey Regiment), Adjutant 18th (County of London) Battalion, The London Regiment (London Irish Rifles), Territorial Force. For conspicuous gallantry on 25th September 1915, during the attack at Maroc and Loos. Although severely wounded early in the day, he remained in the German second line trench reorganising and encouraging the men till the consolidation was well advanced. He then had to be ordered to go back for medical attendance. Photos of 2 of the officers. The Captains are the biggest suspects. Thanks, the face is too long and the features are different. Just trying to revive this thread. There is a pic of 20+ Queen’s officers in the Surrey Mirror and County Post 8/6/1917. Wooster is far left on the back row. Reproduction on FMP is so poor cannot hazard an opinion. He is in de Ruvigny’s but no pic. Killed 1918. Can you post that picture here? Just on my tablet now. Travelling. So very difficult. Perhaps someone can oblige. The only Capt. WR Cobb I can find is Queen’s Own RWK.